In this alternative history of Mikołaj Kopernik, commonly known as Nicolaus Copernicus, Culture.pl investigates paintings, secret societies, cartography, medicine, currency reform and more to show you a bigger picture of the man responsible for one of the greatest revolutions in the history of astronomy. The picturesque town of Toruń is a historical city on the River Vistula, about 150 kilometres north-west of Warsaw. Today it is in the middle of Poland’s Kuyavian-Pomeranian voivodship, but it wasn’t always that way. The area in Central Poland where it lies used to be called Prussia, after the Baltic people that inhabited it in the Middle Ages: the Old Prussians. In the early 13th century, Polish prince Konrad I Mazowiecki asked the Teutonic Order in Germany to come to Prussia and fight the Old Prussians who were causing troubles on his northern borders. Things didn’t turn out the way he wanted though. Eventually, after many bloody years of fighting, the Teutonic Knights conquered Prussia for themselves which led to the creation of a new local identity – an amalgam of Old Prussian, Polish and German influences. In 1233, the knights founded Toruń in this new Prussia. It wasn’t long before Poland and the Teutonic Order became enemies. 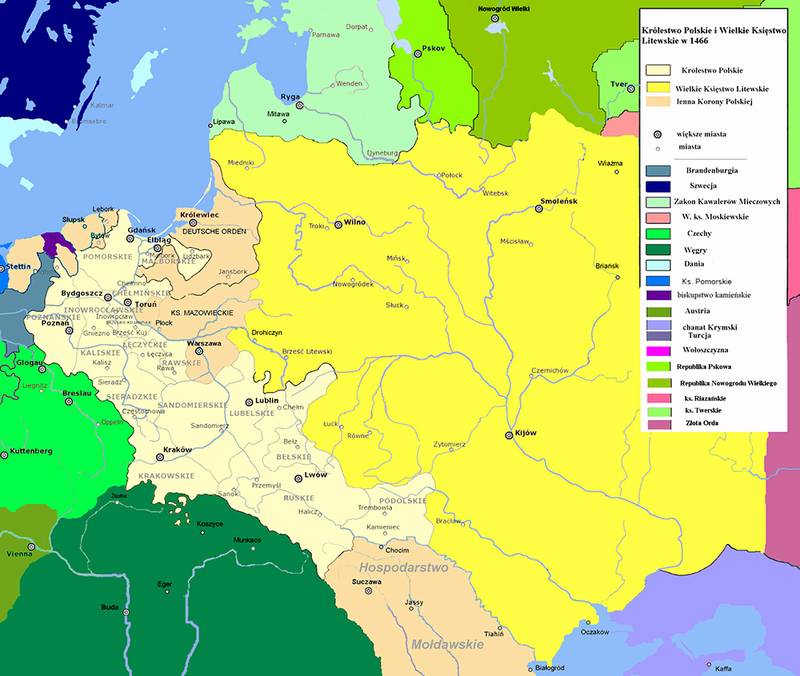 In 1454, a representation of local notables called the Prussian Confederation opted to abandon the rule of the Teutonic Order in view of excessive taxation. They wanted to become subjects of the Polish King Kazimierz IV Jagiellończyk and asked him to incorporate Prussia into Poland. The Polish monarch was kind enough to oblige the request, but the Teutonic knights weren’t going to let Prussia go without a fight. The memory of the Teutonic oppression was strong and the shape of the eastern part of the region (..) clearly reminded all about the advantages gained through the Thirteen Year’s War’. Polish Prussia enjoyed far greater autonomy (including lower taxes) than the Teutonic part. 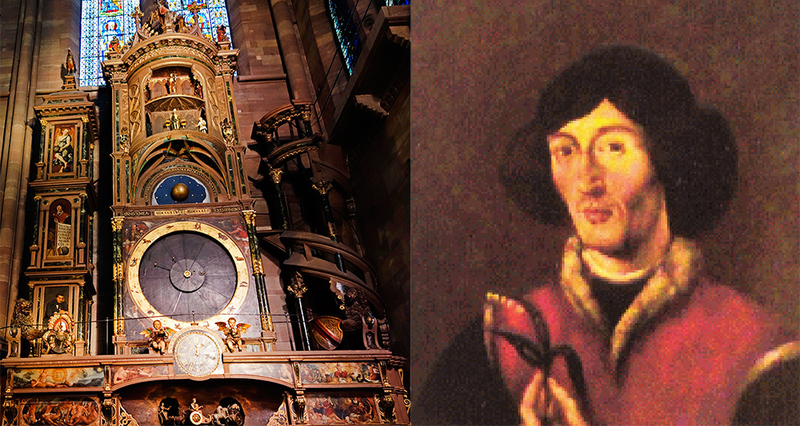 Mikołaj Kopernik (or Nicolaus Copernicus) was born in Toruń on 19th February 1473, as a subject of the King of Poland, seven years after the war had ended. His father, a wealthy merchant also named Mikołaj, had financially supported Prussia’s operation to join Poland. Barbara, the prospective astronomer’s mother, came from the influential Toruń family of Watzenrode – her father had been on the same side as Mikołaj Snr. The young Mikołaj was one of four siblings – he had two older sisters and an older brother. The well-connected family owned two houses, one in the Market Square (non-existent today) the other in what is now known as ul. Kopernika 17 (17 Copernicus Street). The latter still stands and is where the creator of the heliocentric theory was born. Of course, the question of the nationality of such an important figure, has been raised both by Germans and Poles claiming that Kopernik was theirs (the Old Prussians blended with these two ethnicities before making their own claim). Each side has its arguments. Germans will bring forth that Kopernik knew German but there’s no clear evidence – like letters or other writings – proving he knew Polish. Poles will say that in a 1520 letter to the Polish king Zygmunt I he writes – in Latin – that he’s ‘utterly devoted to Your Majesty’ and that he has been a loyal subject throughout his life. Actually, it seems there is no clear line here and that Kopernik was a bit of this and a bit of that, a person fusing Polish and German influences, much like many people from this time and place in history. Due to the lack of sources, the years 1473-1491 are an uncharted part of Kopernik’s life (…). All of the astronomer’s biographers agree that he attended the parish school in Toruń at St. John’s Church, a hundred or maybe two hundred metres away from his home. The supposition about the church school is based, apart from the temple’s proximity to Kopernik’s house, also on the fact that he had been baptised there. Did he further his education elsewhere before going to university in Kraków, Poland’s capital at the time? Karol Górski answers ‘no’ to that. Other Copernicologists (e.g. Jeremi Wasiutyński), point to Włocławek, where Kopernik might have learned under the well-educated Michał Wodka, a physician and astronomer who could’ve inspired him to pursue astronomy. Without a doubt Kopernik enrolled with the Kraków Academy in 1491. We know about this thanks to a record saying, in Latin: ‘Mikołaj, son of Mikołaj of Toruń, has paid for everything’. You’d expect more from a note about admitting one of the greatest minds of the era to university, but remember that at the time Kopernik’s genius hadn’t been proven yet. Kopernik’s education was financed, most probably, by his uncle on his mother’s side, Łukasz Watzenrode who was the Bishop of Warmia at the time. It’s believed this influential man wanted to educate the bright young Kopernik so that one day he’d become a valuable associate of his. 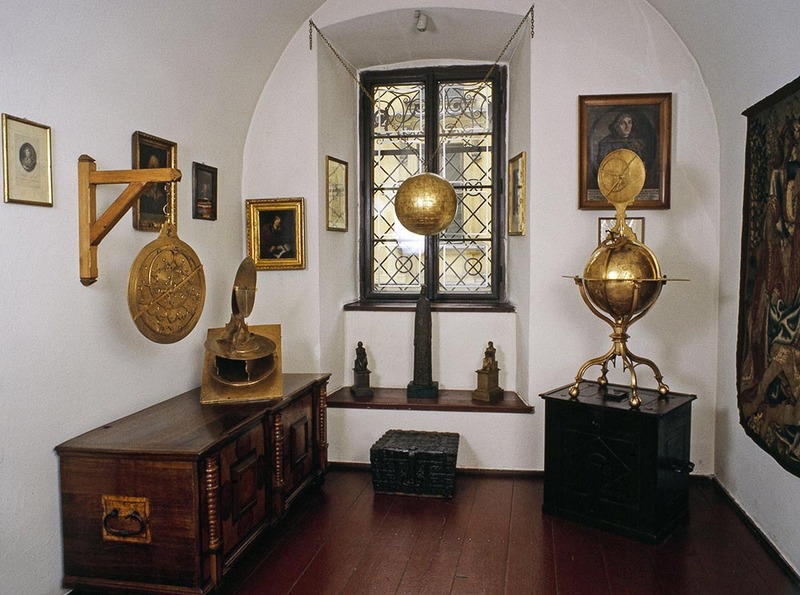 In his 1493 World Chronicle the German historian Hartmann Schedel writes that at the Kraków Academy ‘astronomy flourishes the most, and in this aspect, as I’ve heard from many a person, in the whole of Germany there isn’t a school more famous’. Indeed, the university, that had its ups and downs in its long history, was at a very good moment – Kopernik gained a thorough education there. The lectures and classes were all in Latin, the era’s language of the learned, so he needn’t have learned Polish there, though its commonly thought he knew it being exposed to it in everyday life both in Toruń and Kraków. At the academy especially, professors like Marcin z Żurawicy and Marcin Bylica, creators of the so-called Kraków school of astronomy, might’ve been influential on Kopernik, who already exhibited an interest in astronomy at the time, as evidenced by him purchasing books pertinent to the science. 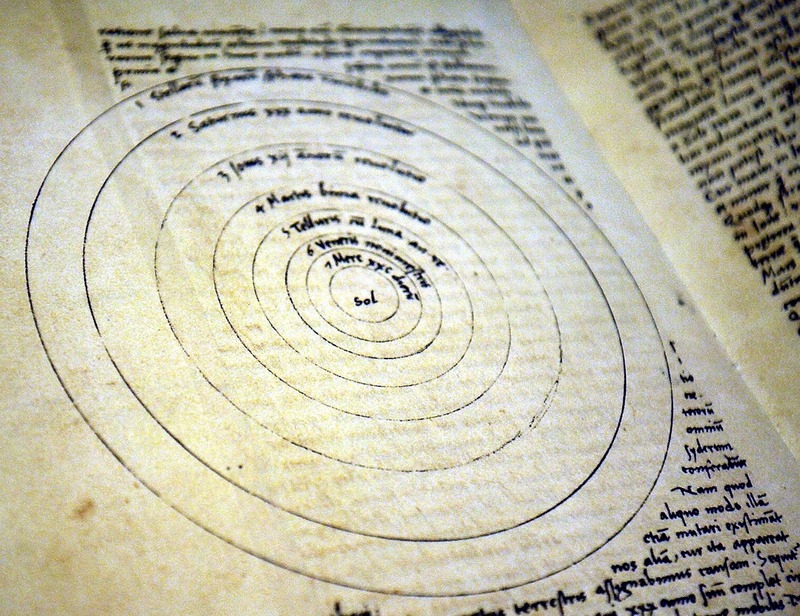 Karol Górski writes that ‘In Kraków’s scholarly atmosphere there was a clear tendency to doubt Ptolemy’s theory’ – the geocentric model held by most people. Kopernik himself is said to have repeated that ‘Toruń gave birth to me, Kraków shaped my thinking’. In Kraków, apart from pursuing astronomy and maths, he also studied philosophy and natural sciences. In 1495, Kopernik left Kraków to study law at the University of Bologna, where he enrolled in 1496. Although Kopernik had a limited interest in this field and studied it mostly in order to become a well-paid official of the Diocese of Warmia, this part of his education is said to have perfected his logical thinking abilities, a skill crucial to the later development of his heliocentric theory. The effort of going to law school paid off soon as in 1497 Kopernik was nominated as a canon of the Diocese of Warmia. The lucrative position had a more administrative than religious nature (holding substantial political power, the diocese wasn’t a purely religious entity) and secured a lifetime’s livelihood – Kopernik had the money needed to develop his intellect. He stayed in Italy until 1503 and in that time he visited Rome, studied medicine in Padua, and got a doctorate in law at the university in Ferrara. Apart from gaining a formal education, in Italy Kopernik’s horizons were expanded in an informal way. Meeting the people and getting a feel of the creative atmosphere of the Italian Renaissance impacted the smart Kopernik. He eventually became a Renaissance man or a man of many talents. Apart from pursuing medicine and law, practical fields, Kopernik also took the time to develop his humanistic interests, for example by studying philology in Padua. It’s most probably there that he started to translate Letters from Greek into Latin – a group of fictitious, humorous writings on love and morals by the prominent 1st-century Byzantine courtier Theophylact Simocatta. What might seem quite surprising is that these Letters are the only book we’re certain Kopernik saw published during his lifetime (in Kraków in 1509). The reason Kopernik was reluctant to print his writings is explained through his character. Karol Górski writes that Kopernik was ‘a shy person, full of doubts whether he’ll be able to communicate his views to others’. It is said, he perfectly made his portrait, using a mirror. Furthermore, he was advised to represent everything he had in mind. When he was travelling, especially in Italy, he thought that he would express, whatever was worthy to observe not only by sketching it out, but as much as he could by paintings. The self-portrait called on by Pierre Gassendi was allegedly made by Kopernik after he had returned to Poland in 1503. 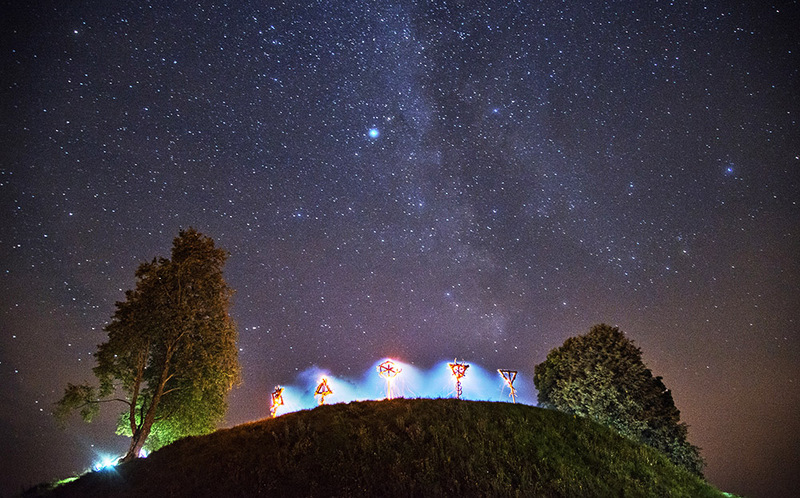 The astronomer would live in Warmia for the rest of his days. 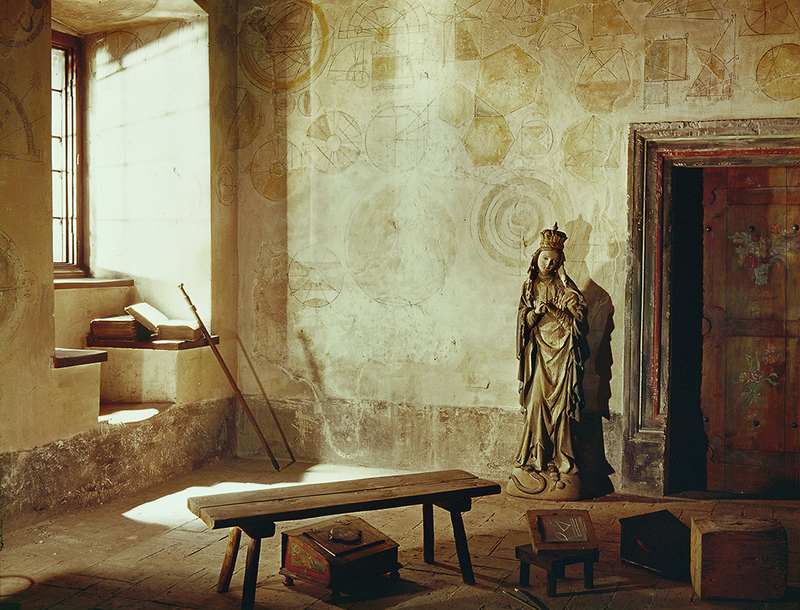 If he did paint it, it would have been in the years 1503 to 1509, when he was staying with his uncle whose primary seat was at the Castle of the Bishop of Warmia in Lidzbark. Popular thought is that it did exist, but is now lost. We know how it looked thanks to a 16th-century copy by Tobias Stimmer that embellishes the clock at the Strasbourg Cathedral. 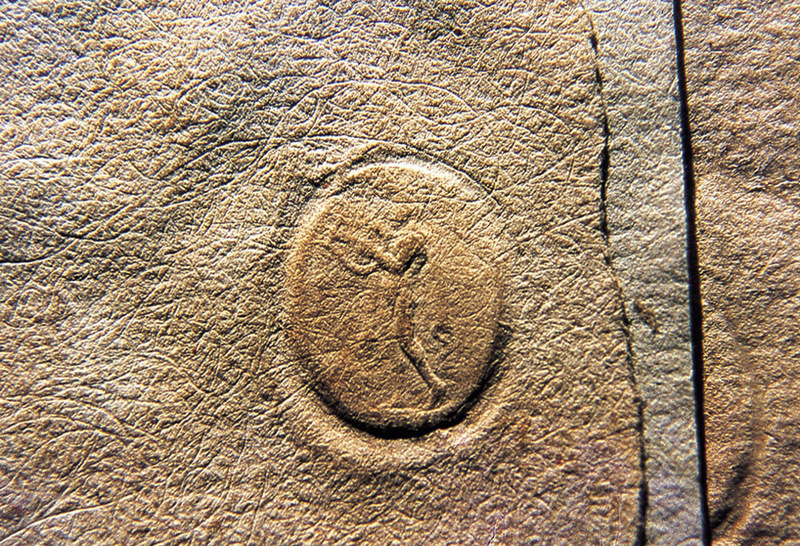 It depicts Kopernik holding a lily of the valley – a motif linked with physicians – with his other hand resting on an inscription saying this is a copy based on an ‘autographon’ or self-portrait. But nowadays, most Copernicologists believe that ‘autographon’ means that the astronomer only confirmed that the original portrait was a faithful representation of his looks, rather than that he had made it himself. There are no other supposed paintings by Kopernik, and he didn’t mention practicing painting in his writings, notes, etc. So there’s no real proof of him having been a painter. (…) He wrote the Latin poem Septem Sidera [Seven Stars – ed. ], practiced painting, drawing, experimented with music and sculpture. Unfortunately, none of that transpires from credible historical sources and the quote just goes to show how rich the tradition of enhancing Kopernik’s output is. Curious, especially given that his proven accomplishments situate him in a position of genius, requiring no improvement. One kind of ‘artwork’ is on record: Kopernik created maps of Prussia and Warmia during his stay with his uncle. Scholars claim that he had shared his expertise on the regions’ geography with his friend Bernard Wapowski, creator of the first ever map of Poland. Unfortunately all three of these maps have gone missing. Nevertheless, this shows that Kopernik’s factual involvement in the field of graphics was cartographic rather than artistic. That this involvement was meaningful is evidenced by the fact that his maps were used by 16th-century historians. Importantly, also in Lidzbark, Kopernik completed the translation of the Letters, proof of his gift for the written art of translation. At the foot of the hill there was a small town, and beyond were the grey waters of the Vistula Lagoon lined to the north by the narrow black strip of the pine forest on the spit. Further ahead, the Baltic Sea glittered. This view Kopernik had before his eyes for many years. 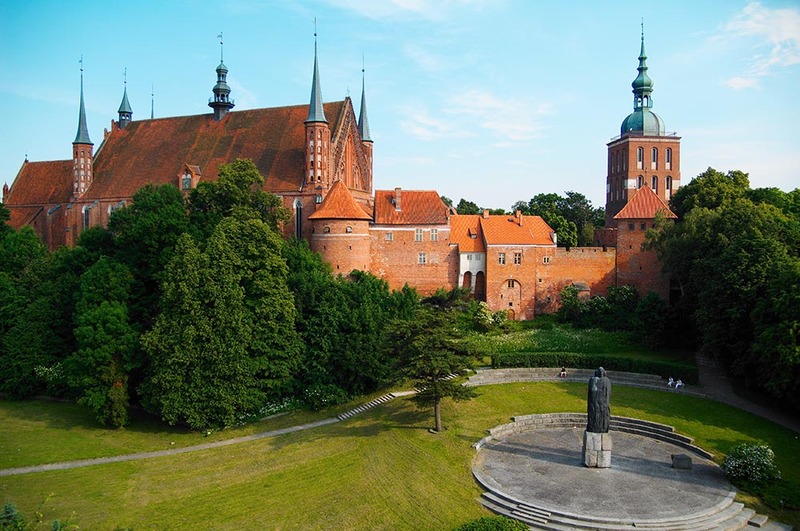 In Frombork, the astronomer had a modest house and a special observation platform in a garden outside the complex’s walls where his astronomical instruments could be set up properly (these required a substantial amount of space). When the platform had been destroyed by the Teutonic Knights during one of their raids, Kopernik is said to have moved his observation spot to the campanile. Interestingly, the tower within the complex which he had purchased for himself, nowadays called Kopernik’s Tower, has been proven to have been too small to serve as his observatory. So, shown at the top of this article, the famous 1873 painting Astronom Kopernik (Copernicus the Astronomer) by the eminent historical painter Jan Matejko showing him there surrounded by astronomical instruments isn’t entirely accurate. The Teutonic threat disrupted life in Warmia. The knights weren’t respecting the terms of the 1466 peace treaty, and it eventually led to the outbreak of a war with Poland in the year 1519. By then, Kopernik had already been acting for three years as a diocese high administrative official, seated at the castle in the town of Olsztyn. He was nominated for the position because he was seen as a man skilled enough to play a leading role in the uneasy times that were unfolding. Unfortunately his new responsibilities, which he performed according to his nature with due diligence, left him with little time to conduct astronomical research. We want to do what suits noble and honest men (…) even if that entails paying the highest price. In other words, Kopernik would’ve preferred death to giving the castle away to the Teutonic Knights. The Polish crew that had reinforced the stronghold earlier strongly influenced the final, victorious outcome. 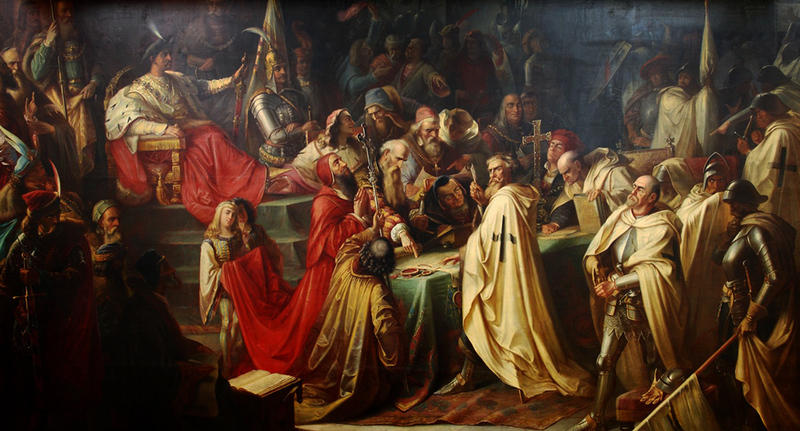 The war ended with a truce in 1521 and a peace treaty favourable to Poland in 1525. Toward the end of 1521, Kopernik moved back to Frombork. 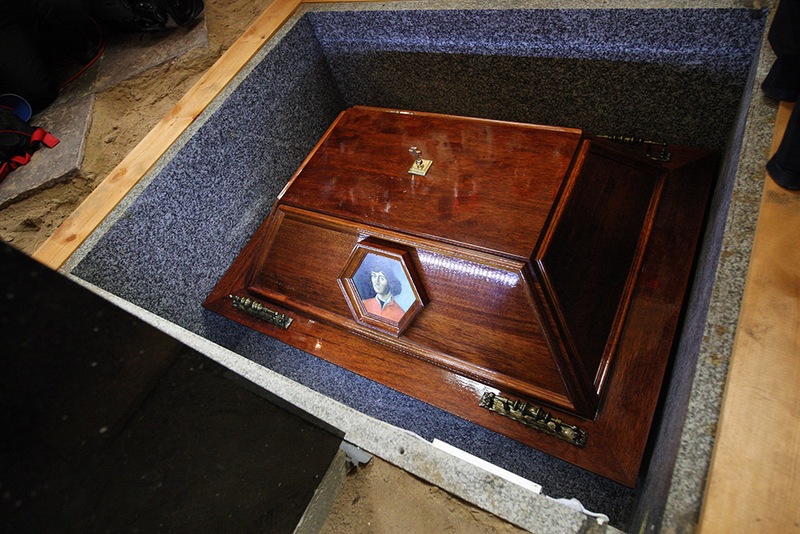 He stayed there until his death on 24th May 1543. 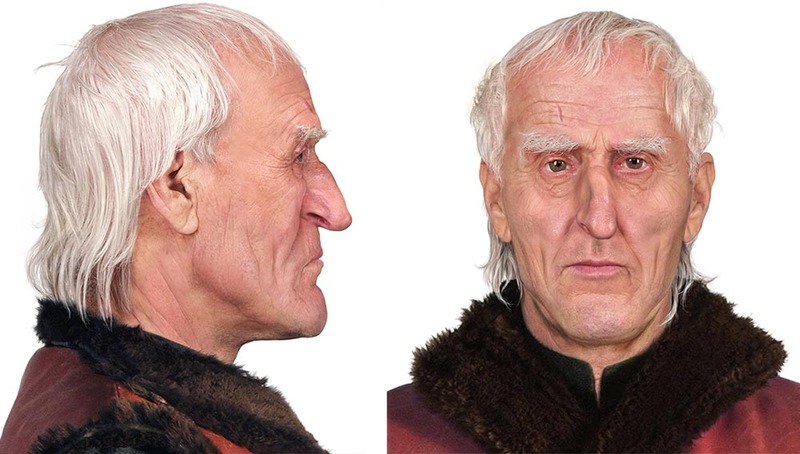 In the years following the warm, he was involved in the issue of introducing a single currency to both the Teutonic and Polish parts of Prussia. When to the existing better currency in circulation an inferior one is introduced, it not only infects the old one, but also, so to say, pushes it out of circulation. Today, Kopernik’s insight is considered a fundamental economic truth, called the Copernicus-Gresham law, which is usually summed up by the catchphrase ‘bad money drives out good’. For over a decade, the astronomer strived to unify the Prussian monetary system, but didn’t manage to fully convince the local notables that he was right. It was decided the reform be implemented only partially and Kopernik, feeling that he had been misunderstood, ceased working on it in 1531. To us, Kopernik is first of all an astronomer. But to his contemporaries he was better known as a physician. He was considered a skilled practitioner of medicine, which, at a time when there were very few doctors, was enough to make you famous. That’s why in the Strasbourg portrait he’s presented with a lily. With God’s help and under the attentive care of the medics (namely Doctor Mikołaj Kopernik, a canon at my church, and Doctor Warzyniec Wille, the physician of his highness the Duke of Prussia) the illness has receded enough for me to be now getting better. After Kopernik’s ambitious currency reform had been limited, he withdrew to Frombork. His fellow canons didn’t share his impractical interest in astronomy. He was valued, but as a medic. Having basically no one who would understand his greatest passion within the hermetic society of the cathedral complex, in his final years Kopernik chose to lead a rather solitary life. He devoted his time to astronomy and De Revolutionibus, his treatise explaining the heliocentric theory which he had first outlined in a 1512 writing called Commentariolus. But even though the theory was his life’s work, he seemed reluctant to finalise and publicise it. Scholars point to a number of reasons behind this: his natural shyness, wanting to avoid being ‘misunderstood’ again as in the case of the monetary reform, and not wanting to confront the official geocentric doctrine of the church which he represented as a canon. Fortunately, the elderly Kopernik was inspired to complete his ground-breaking work by a young maths professor from Wittenberg named Rheticus, who came to Frombork in 1539 after hearing the theory and becoming curious. Thanks to Rheticus’ encouragement, Kopernik finished De Revolutionibus. It was printed in March 1543 in Nürnberg and a copy is said to have arrived in Frombork on the exact day Kopernik passed away. Whether he had seen the ready book with his own eyes remains an open question. From the many different arts and sciences that we love and that give food for thought, one ought to – in my opinion – devote and apply oneself with the greatest commitment to those that revolve around the things that are the most beautiful and most worth learning (…). And is there anything more beautiful than the sky that after all encompasses all that’s beautiful?